With their 108-98 Game 5 loss to the Portland Trail Blazers on Wednesday night at Staples Center, the Clippers are on the brink of elimination as Portland now leads the series 3-2. Game 6 is Friday at Portland. A Clippers victory would bring the series back to Staples Center for Game 7. It is a tall order, considering the Clippers will again be without their two stars – Chris Paul (fractured hand) and Blake Griffin (partially torn quad tendon). Clippers shooting guard J.J. Redick was asked post-game Wednesday to talk about the team’s mindset heading to Portland. “I don’t want to use every cliche in the book, but this is the most important game of the year,” he said. “I guess there is no other way to say it. I don’t want to equate a basketball game to death, but it is do or die. The depleted Clippers – missing stars Chris Paul and Blake Griffin – started 1 of 8 from the field on Wednesday in Game 5 of their first-round series with Portland at Staples Center. They trailed by as many as seven points in the first quarter. By the time halftime rolled around, the Clippers were able to take a 50-45 lead over the Trail Blazers into the break. The Clippers led by as many as eight points in the second quarter. DeAndre Jordan and J.J. Redick scored 10 points apiece for the Clippers in the half with Jordan grabbing 11 rebounds. Austin Rivers had nine points, Jamal Crawford eight and Jeff Green seven. Maurice Harkless led Portland with 17 points and C.J. McCollum and Gerald Henderson each scored eight. Damian Lillard had only three points, however. He was 0 of 5 from the field. The Clippers shot 44.7 percent, the Trail Blazers just 35.9 percent. – One of the biggest reasons why the Trail Blazers won was because their outstanding guard tandem of Damian Lillard and C.J. McCollum played to their capabilities after struggling in losses to the Clippers in Game 1 and Game 2. Lillard scored 32 points on 10 of 20 shooting and went 9-for-9 from the free-throw line. McCollum scored 27 points on 11 of 22 shooting. Each had five rebounds. – It was more than that. For another thing, the Trail Blazers outrebounded the Clippers 56-44. Leading the way was center Mason Plumlee. He had a whopping 21 rebounds to go along with nine assists and six points. The Clippers got 16 rebounds from their center, DeAndre Jordan. Blake Griffin had only seven. – The Clippers led 85-81 with 3:52 to play after a 3-point play by sixth-man Jamal Crawford. They scored only three points the rest of the way. During that time, the poor free-throw shooting Jordan went 1 of 6 from the free-throw line, finishing 3 of 10 from there. “Our execution was bad tonight,” coach Doc Rivers said of his team’s play down the stretch. – As a team, the Clippers shot 40.9 percent – 16.7 percent (3 of 18) from 3-point range. Rivers gave credit to the Portland defense. “I thought they did a great job,” he said. “I think they were way more physical than us. 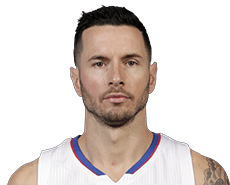 I thought ball pressure got to us.” Shooting guard J.J. Redick, who is nursing a sore left heel, shot 2 of 10. BONUS TAKE: The loss notwithstanding, Clippers point guard Chris Paul continued his fine play. He led the Clippers with 26 points on 10 of 21 shooting, doled out nine assists and made three steals. LASTLY: The Clippers lead the series 2-1. Game 4 is Monday night, back at Moda Center in Portland. One can only imagine how painful a bruised heel can be, and no one knows that better than Clippers shooting guard J.J. Redick. He spoke about his bruised left heel, an injury sustained April 12 against Memphis in the second-to-last game of the regular season, after Wednesday’s 102-81 victory over Portland in Game 2 of the first round of the playoffs. Redick scored 17 points in Game 1 and 17 in Game 2. He played 26 1/2 and 28 1/2 minutes, respectively. He averaged 28 minutes during the season. Coach Doc Rivers said Thursday at practice that the heel is bothering Redick. Rivers said he wasn’t sure if giving Redick a longer rest than usual in Game 1 helped. “I actually thought he didn’t move that well coming back in, so we may adjust that,” Rivers said. Game 3 is Saturday in Portland. The Clippers lead the series 2-0. The Clippers on Wednesday night led the Portland Trail Blazers by as many as 15 points in the first half of Game 2 of their first-round playoff series at Staples Center. By the time halftime rolled around, the Clippers held just a 47-43 advantage over Portland, which had to be feeling good heading into its locker room. J.J. Redick led the Clippers with 13 points, Blake Griffin scored eight on 2 of 7 shooting and Chris Paul had seven points and three assists after playing just 14 minutes because of three personal fouls. 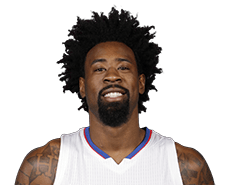 DeAndre Jordan didn’t score, but he had 10 rebounds. Mason Plumlee and C.J. McCollum scored 11 points apiece for Portland. Point guard Damian Lillard had six points, but shot just 2 of 10. The Clippers shot 42.2 percent from the field, the Trail Blazers shot 34 percent.